Whenever you look at the before and after photos of an interior design project, they can make decorating look so easy. But no great interior design work is the result of someone waving a magic wand. It’s a deliberate and well-thought-out job that’s founded on a set of universal design principles. If you want to consistently deliver good interior design work, you are more likely to do so if you pay attention to the following tenets. Each room should have a hero piece. This is an object or feature that surprises, delights and makes an impact on anyone who comes across it. A feature wall, a work of art, a spectacular rug and oversized furniture are examples of great picks for hero pieces. The hero piece is meant to grab attention and make a visitor fall in love with the room. Remember to give the hero piece sufficient room to breathe else its presence could be counterproductive to the aesthetics. Just like offices, factory floors, and other indoor spaces, most living rooms have plenty of square and rectangular patterns and objects. It’s hard to run away from these shapes since its often the nature of certain household items such as standing shelves, sideboards, and sofas. You can break the monotony though by replacing right angles and straight lines with curves and circles wherever possible. A round wall hanging, round mirror, round alarm system panel (see more home security tips on homesecurityseek.com), round rug, round dining table, round coffee table—your options are limitless. A beautiful artwork or painting will have maximum impact when it’s placed at the right wall height. Having a center line that’s consistent for artwork across your home creates harmony. Best design practice is to have the center of all artwork at eye level. Of course, best practice doesn’t mean the rule is cast in stone. For example, having the center of a feature picture at a height significantly higher than eye level could work just as well. Does the home or room have low ceilings? They can make spaces feel cramped and claustrophobic. You can create an illusion of vertical space by opting for low-profile sofas and coffee tables. Complement these with slim, tall bookshelves that compel the eye upwards thus making windows and walls appear taller. Mixing objects of different heights in this way simultaneously creates a serene vibe. You could also paint ceilings and skirting boards in the same color as the walls to make rooms feel more spacious. Have you ever looked at something in your home and thought “I hate that!” but somehow continued hanging onto it for years? 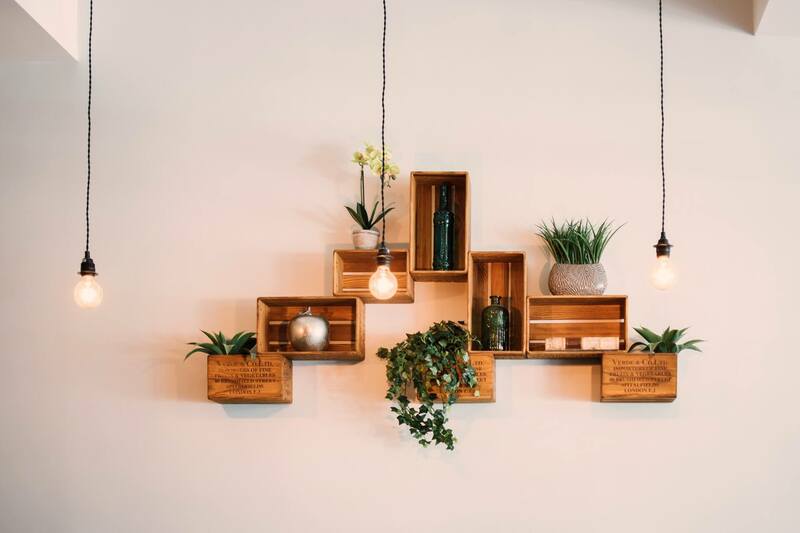 Sometimes, we are so keen on following the unstated rules of what items should be present in the average home that we end up keeping things that are repulsive to us. Remember, interior design is not an end of itself. The goal is to create a space that you enjoy coming to and staying in. Having items you don’t like is therefore counterproductive to this goal. Find creative ways to replace these items with things you love. There will be times when despite following the rules and checking all the boxes, you still feel the room doesn’t quite feel right. It won’t always be easy to place a finger on what the exact problem might be. In that case, take a step back and see what is wrong. If need be, request the assistance of someone who hasn’t been involved in the design project at all. Their fresh set of eyes may allow them to pick up things that you are blind to. It could be a wall or corner that feels empty and needs a furniture piece to bring it to life. These rules are important but don’t let them be an excuse for inhibiting your creativity. Keep an open mind and find a design that works for your home.